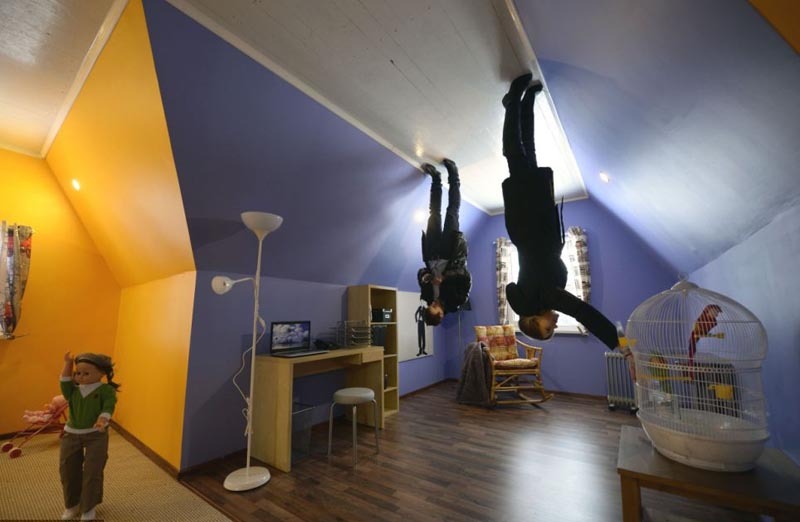 At the VVTs All-Russia Exhibition Center in Moscow last week, an upside down house had visitors in a tizzy. 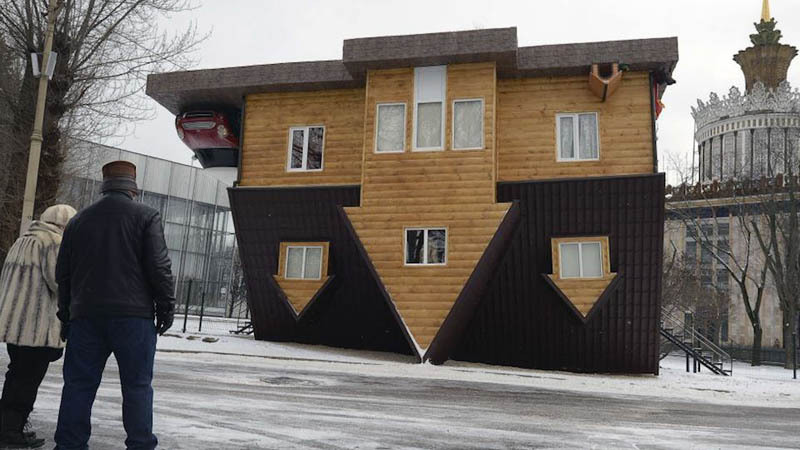 Similar in concept to Jean-François Fourtou’s Tombée du Ciel, this house (not sure who the artist/designer behind the project is) is larger and even includes a car hanging from the driveway. 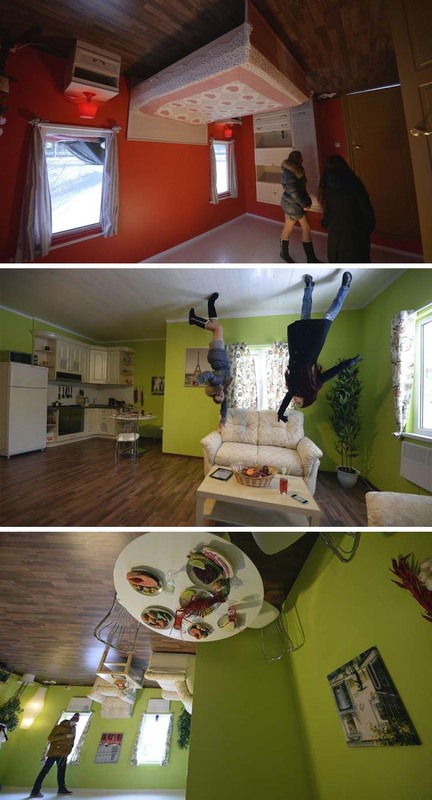 The multi-room structure was built upside down as a tourist attraction and was fully fitted with furnishings, kitchen, bath, and even food on the dining room table, all hanging from the ceiling, or, rather, floor…wait. 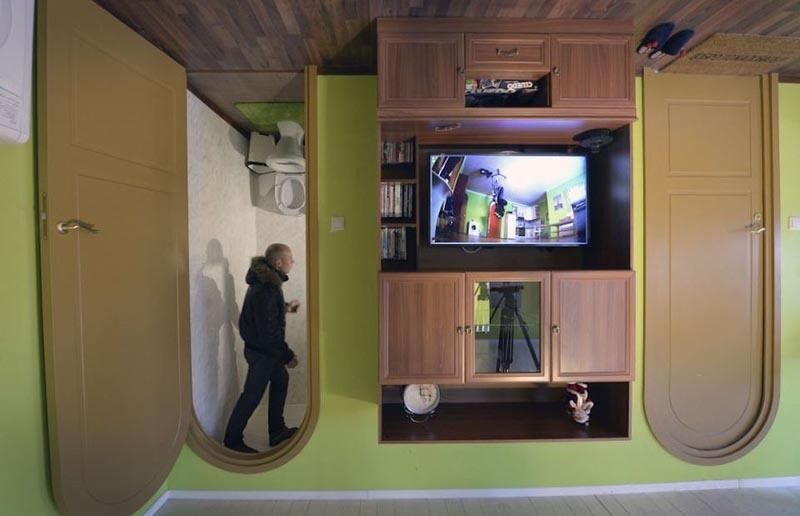 It appears that at least in one of the rooms a video camera was inverted inside a cabinet (see third photo down) projecting the room live and right side up on a tv screen and, consequently, its visitors upside down. Confusing and fun. This entry was posted in Architecture, Art, Event, Fun, Interaction Design, Just Plain Cool, Pop Culture, Stuff We Like. Bookmark the permalink.